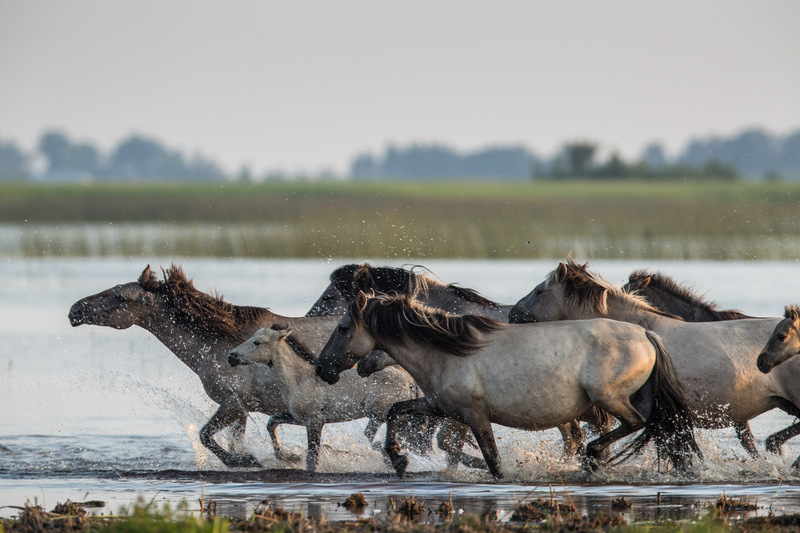 The horses reintroduced by Lake Pape are of the Konik Polski breed. The original European wild horse, the Tarpan, went extinct through human activity in the late 19th century, but some Tarpan had been bred with domestic horses in Poland, creating the Konik Polski. The horses as we know them today were selectively bred in the 20th century to emphasize their Tarpan-like traits, and are perfectly adapted to living in the wild.